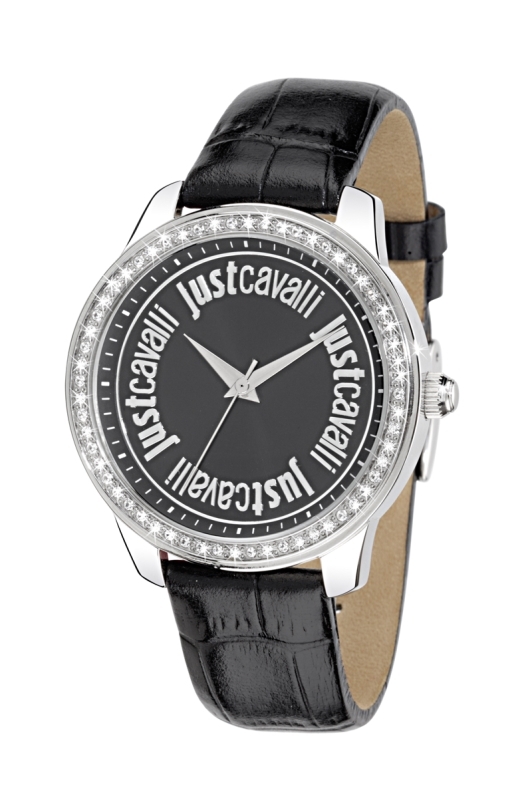 When you’re wearing a timepiece designed by Roberto Cavalli, sometimes the name says it all. Italian fashion designer Roberto Cavalli is well know for his ability to set new trends. 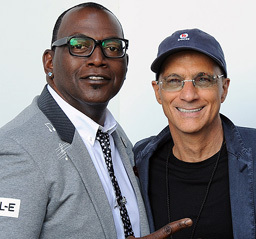 Celebrities like Jennifer Lopez, Christina Aguilera, David Beckham, and P. Diddy all wear his extravagant creations; while the fashion world impatiently waits for him to identify the next big thing. 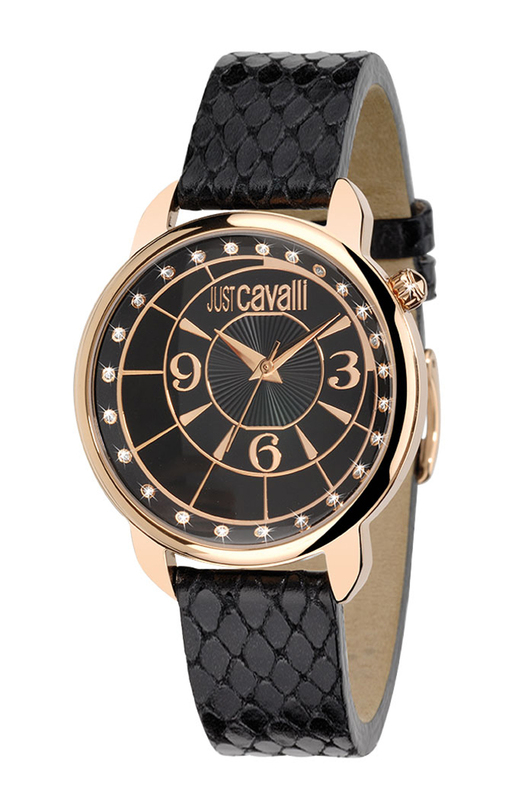 Cavalli is a big fan of watches and his innovative Just Cavalli watch line has already left his distinctive mark on fashionable wrists around the world. 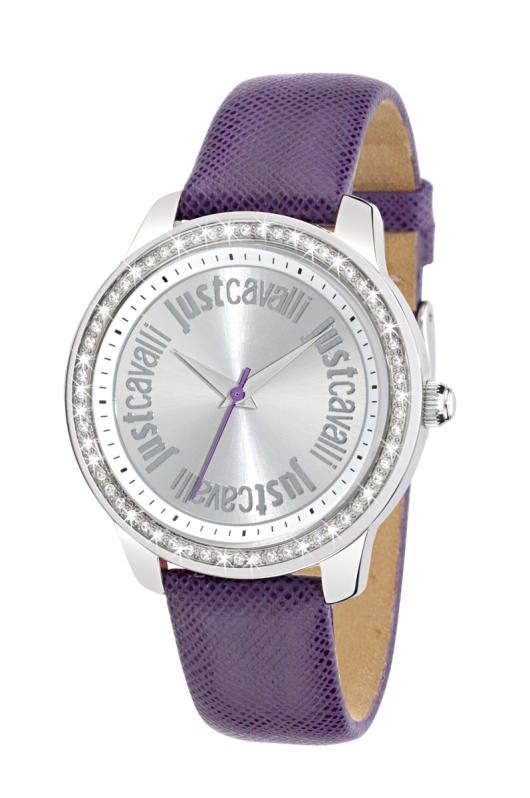 Just Cavalli watches are affordable, everyday fashion accessories designed to appeal to the young and young at heart. 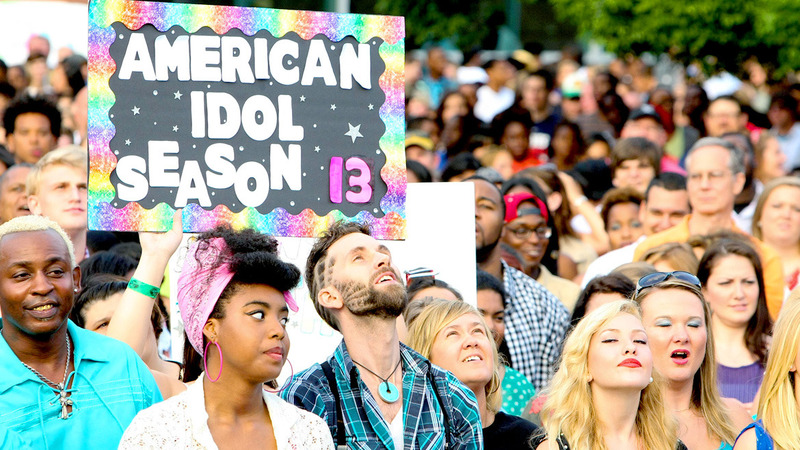 These over-the-top creations from the self-styled “king of bling” don’t just follow trends, they start them. Take one look at the new Just Cavalli Trendy Collection and you’ll know why. This eye-catching three-hand configuration features a dramatic asymmetrical dial with 24 sparkling crystals serving as indices. An offset setting crown at 2 o’clock adds to the trendy asymmetrical appeal. 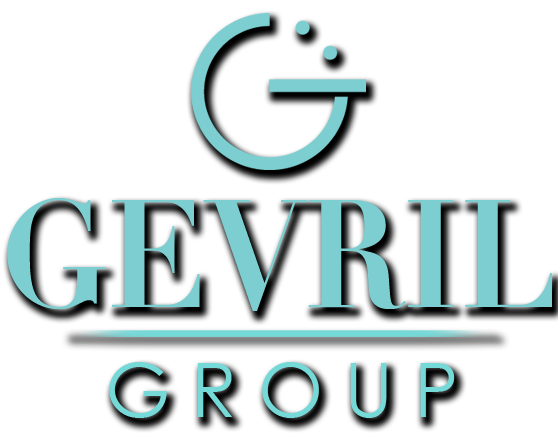 Trendy timepieces are made in Italy and powered by high quality Japanese quartz movements. The durable stainless steel case and mineral glass crystal are water resistant to 99 feet, and the watch carries a full 2-year manufacturers guarantee. 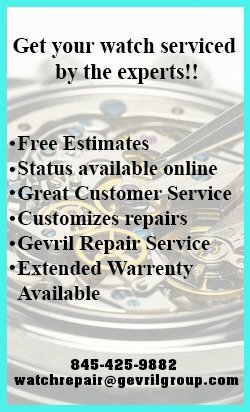 You have your choice of a stainless steel or rose gold IP finish, and your watch can be equipped with a genuine calfskin band or beautiful stainless steel bracelet. 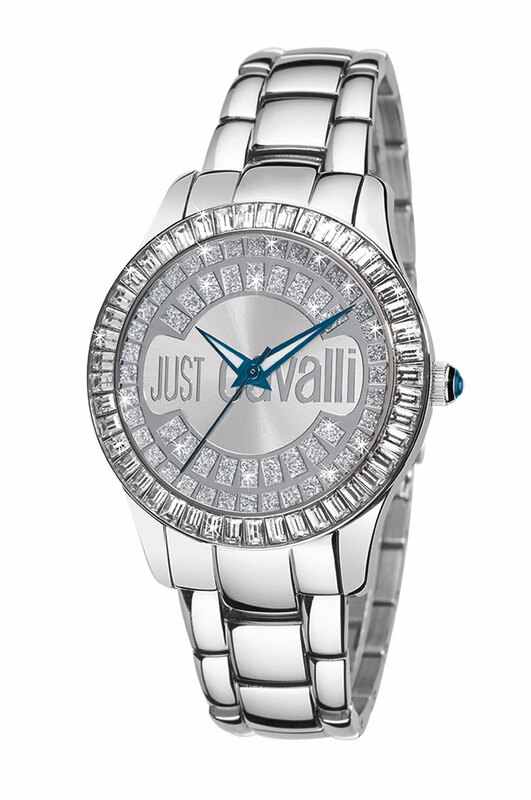 Some models feature a spectacular pavé crystal dial with the Just Cavalli logo outlined in crystals. 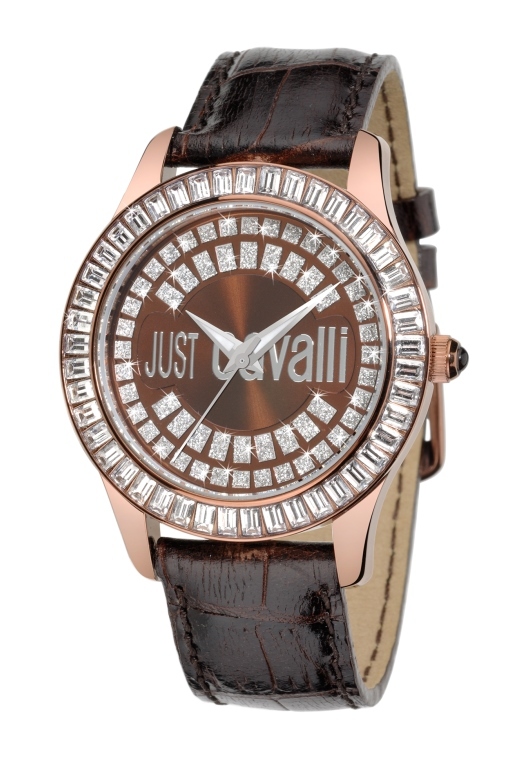 Trendy is the perfect name for this extravagant timepiece. With one of these 39 mm beauties on your wrist, you’re definitely going to get noticed. In today’s fashion world, an extravagant watch can provide the perfect finishing touch for just about any outfit. 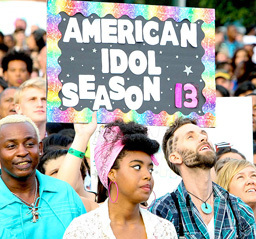 If you’d like to start the next big trend, start by putting something trendy on your wrist. 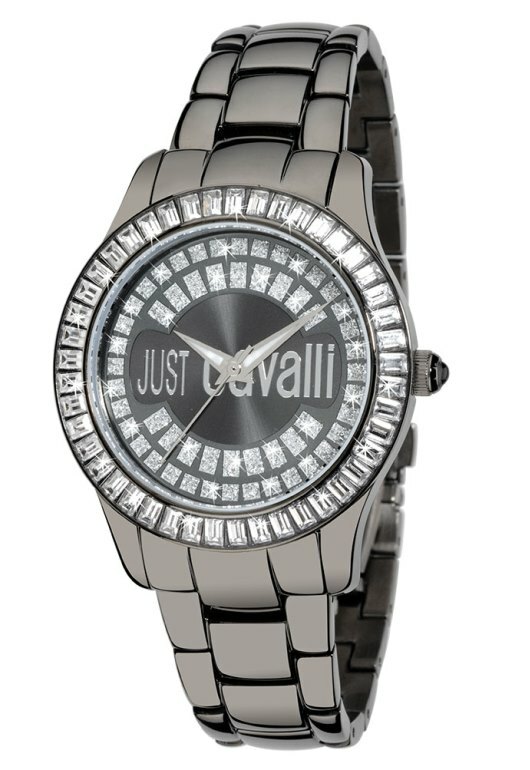 Just contact your nearest authorized Just Cavalli dealer today and ask to see the Trendy Watch Collection. The “king of bling” is back with something shiny for the ladies. Many say that it was Roberto Cavalli who provided the inspiration for the influential rock n’ roll fashions of Versace and Dolce & Gabbana. 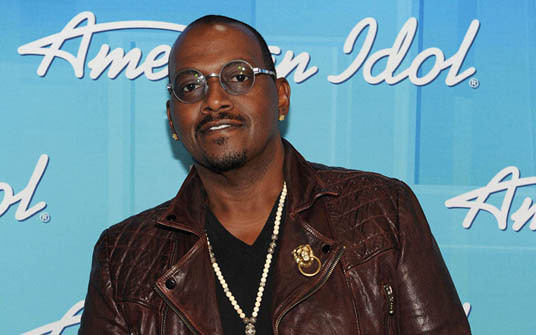 This self-styled “king of bling” still has a reputation for being over the top, and his extravagant designs are wildly popular with trendsetters around the world. It is no surprise that celebrities like Jennifer Lopez, Christina Aguilera and P. Diddy, have all been seen wearing Cavalli’s latest creations. When this talented Italian designer turned his attention to timepieces, they quickly became a must have fashion accessory for trend setting fashionistas. 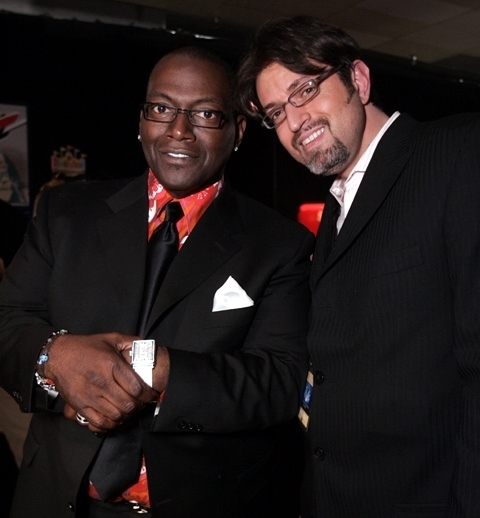 Roberto’s “Just Cavalli” watches weren’t designed to be expensive; they were created for fun. Fun is the perfect word to describe the new Just Cavalli Shiny Collection Watches. These glittering 40 mm ladies timepieces just beg for attention on your wrist. 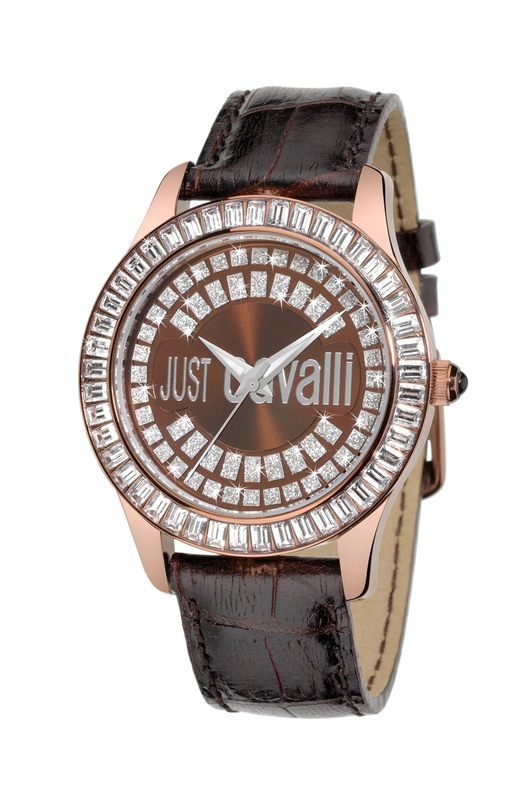 With a sparkling crystal studded bezel surrounding a lustrous, shiny metallic dial emblazoned with the Just Cavalli logo, these attractively priced three-hand watches are the prefect way to add a little extra “bling” to this season’s latest styles. 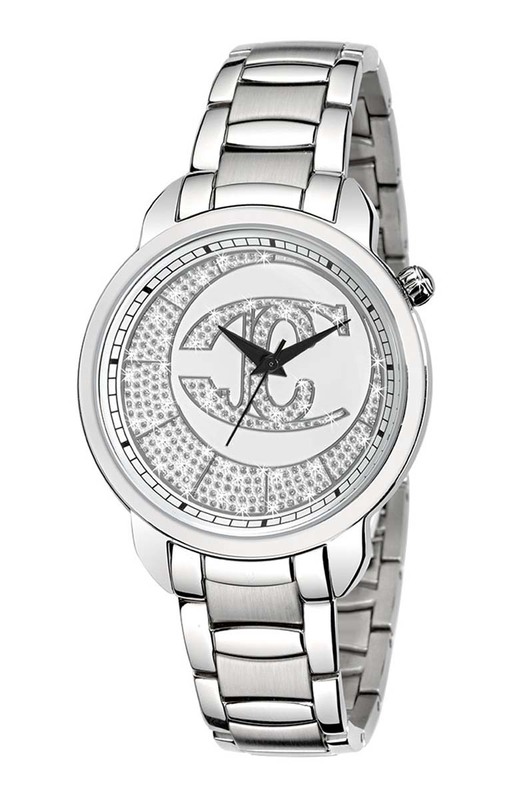 Some models are even embellished with additional sparkling crystals on the dial itself. 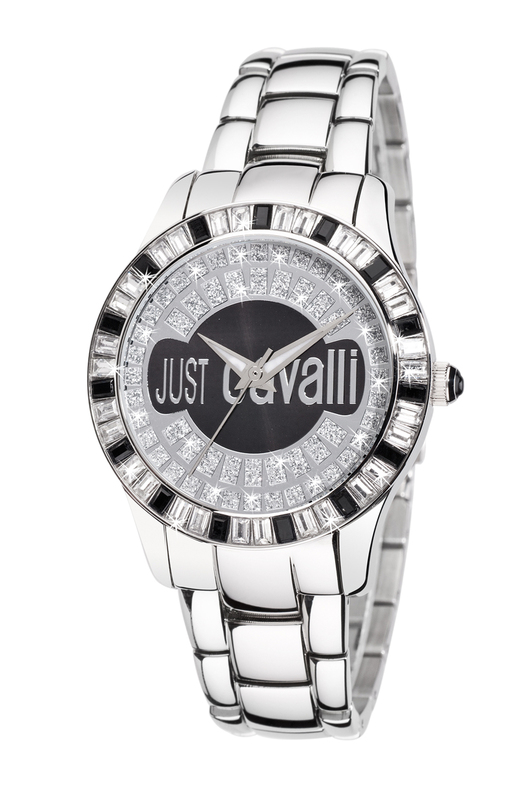 Just Cavalli Shiny watches are made in Italy and feature high quality Japanese quartz movements, stainless steel cases and durable mineral glass crystals. Each Shiny watch is water resistant to 99 feet and carries a full 2-year manufacturers guarantee. The spectacular collection is available with a choice of black or silver dials, and can be equipped with a genuine leather strap that coordinates with the brightly colored sweep second hand. Some models are fitted with a lustrous stainless steel bracelet and push button deployment clasp. A Just Cavalli watch defines the woman who wears it. These extravagant fashion accessories provide the finishing touch for just about any outfit. 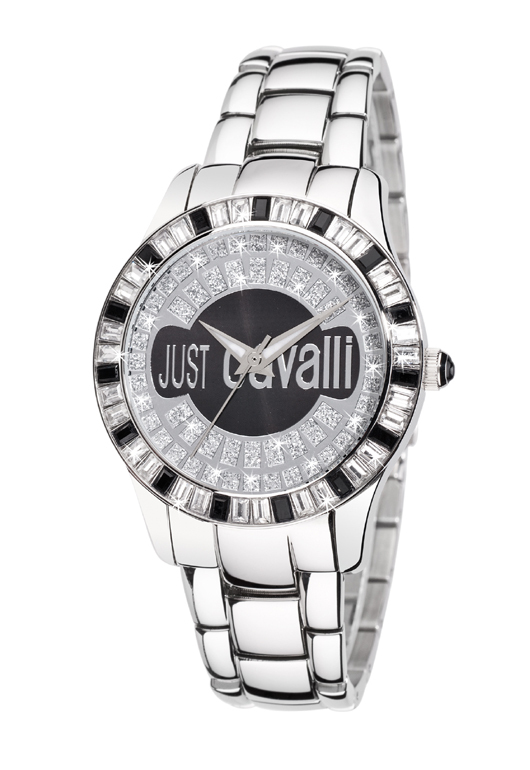 To put something shiny on your wrist this season, contact your nearest authorized Just Cavalli dealer today and ask to see the Shiny Collection Watches. Roberto Cavalli’s extravagant creations earned him the title of the “king of bling.” This popular Italian designer continues to set the trends for the young and the adventurous. 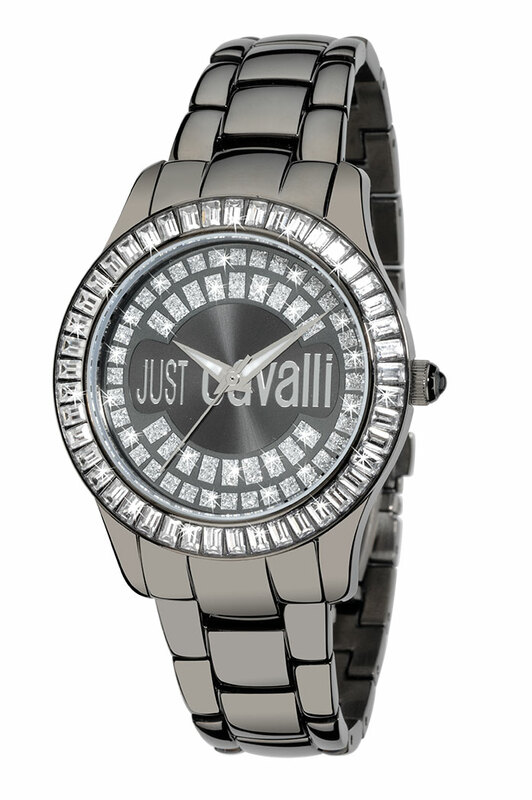 If you’d like to add a little Cavalli bling to your own wardrobe, all you need is the Just Cavalli Ice on your wrist. 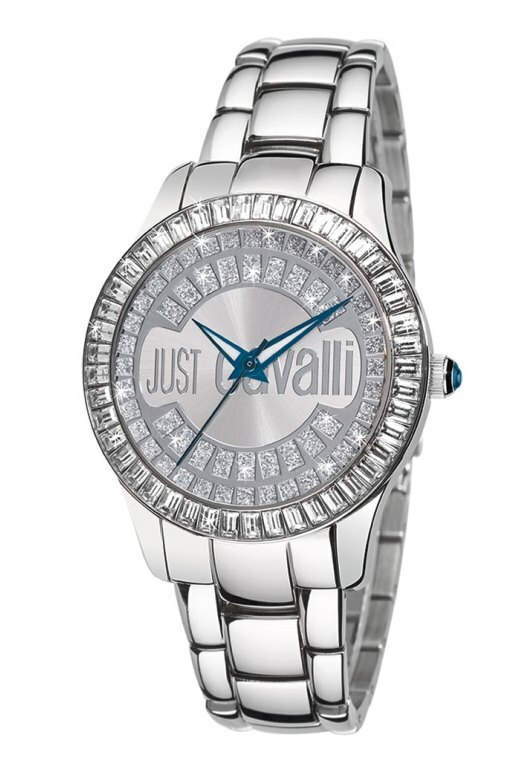 Just Cavalli Ice watches provide a glittering crystal accent to all your favorite styles. Available in IP black, IP rose gold, and stainless steel, these 40 mm sparklers feature a classic two-hand configuration with an exquisite dial and bezel studded with faceted crystals. 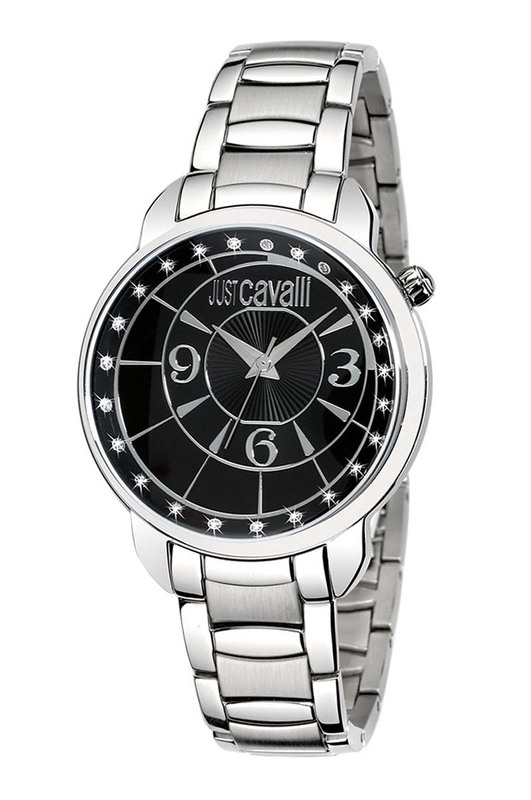 The distinctive Just Cavalli logo completes the unique design. All four Ice Collection models are made in Italy and feature precision quartz movements. A durable mineral glass crystal protects the jewel-encrusted dial and the stainless steel case is water resistant to 99 feet. The watch can be equipped with your choice of a beautiful calfskin strap or a matching stainless steel bracelet. Just Cavalli watches aren’t for the faint of heart. These dramatically styled fashion accessories are something that defines the person who wears them. 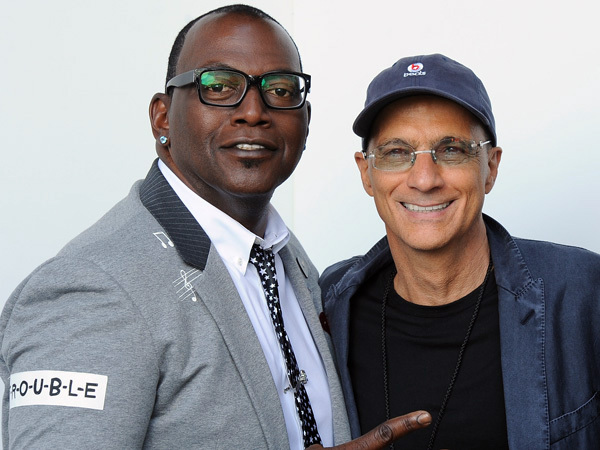 Maybe that’s why Roberto Cavalli creations are popular with celebrities like Jennifer Lopez, Christina Aguilera, David Beckham and P. Diddy. 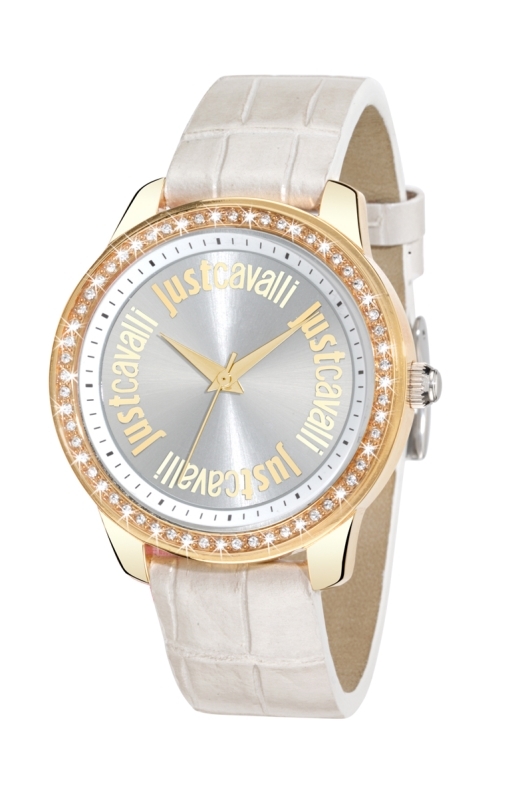 If you’re a trendsetter, or would like to become one, you need something hot: a Just Cavalli Ice watch on your wrist. 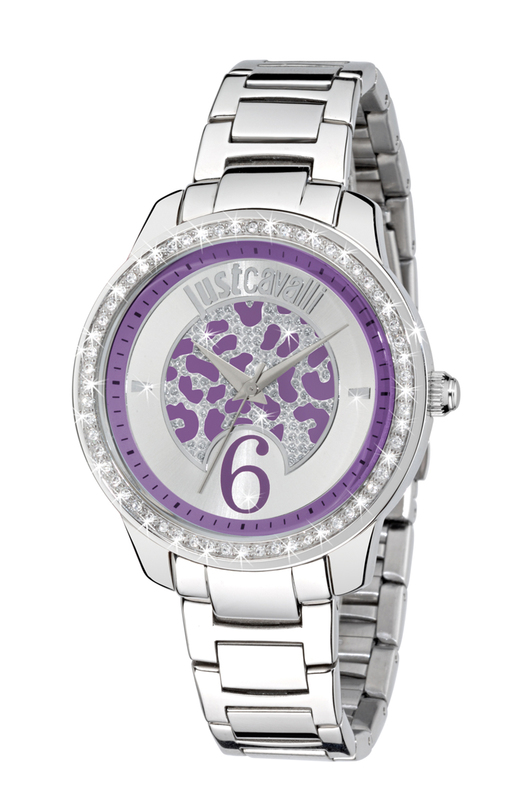 These unique and attractively priced watches are the perfect way to add a little bling to your wardrobe and your attitude. To see what Ice looks like on your own wrist, visit your nearest authorized Just Cavalli dealer and ask to see the Ice Collection.